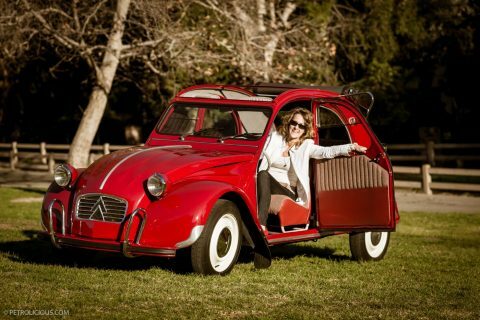 California-resident and classic-car-appreciator Dana Abram went to school in France back when Citroën 2CVs roamed the streets and were easy to obtain. Ten years ago, Dana and her husband had the opportunity to buy a rust bucket of a 1964 Citroën 2CV to restore over the course of a few years. Now it’s a prized possession that the family never wants to sell. 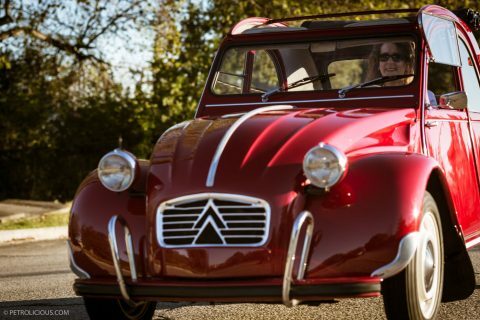 A: I have a neighbor who is from Europe; he imports Citroëns to restore and sell them. Ten years ago he brought one particular one over, and my husband and I decided to buy it before our neighbor did any work on it. We’ve had her for about ten years now, and I try to drive her at least once a week. Q. Why did you want this particular car? A: I went to school in France and have a big connection with the country—I spend time there every year. 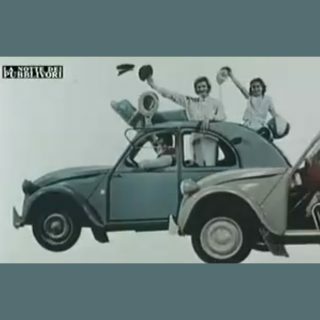 While there for school, I used to see the little Citroën cars everywhere. Up until the 80s, they were like the VW Beetles of the day—owned by college students as an inexpensive, low upkeep, hippie type of car. During the late ’80s and mid ’90s, the cars stopped being manufactured, and all of a sudden they became collectors cars. Last summer when I was over in France, I saw a couple of them for sale and was shocked at the prices! When we saw that our neighbor had one, my husband and I saw the opportunity and took it. We didn’t really plan it or think about it beforehand—it was just a fluke. Q. What work did you have done on the car? 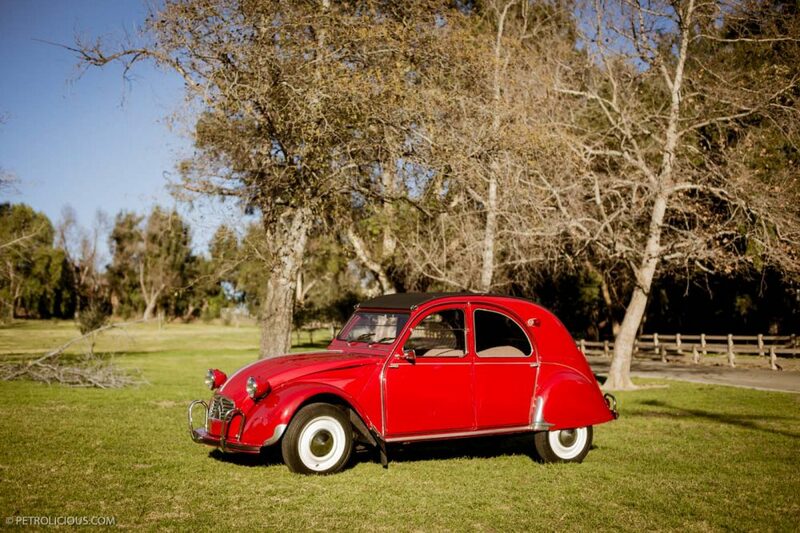 A: When we got the 2CV, it was a rust bucket, but since then we’ve completely restored it. We paid $1000 for the car, because it was in such poor condition—both the interior and exterior. 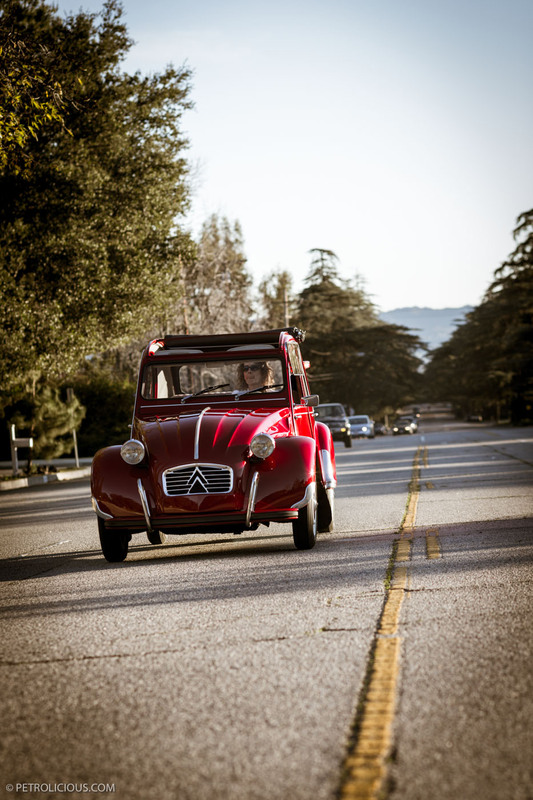 We had it a year or two before we found someone who worked on building that particular line of 2CV in France, where he immigrated from. He took the engine completely apart and basically put it all back together to rebuild it. We were very fortunate to find him, but since that he unfortunately passed away. 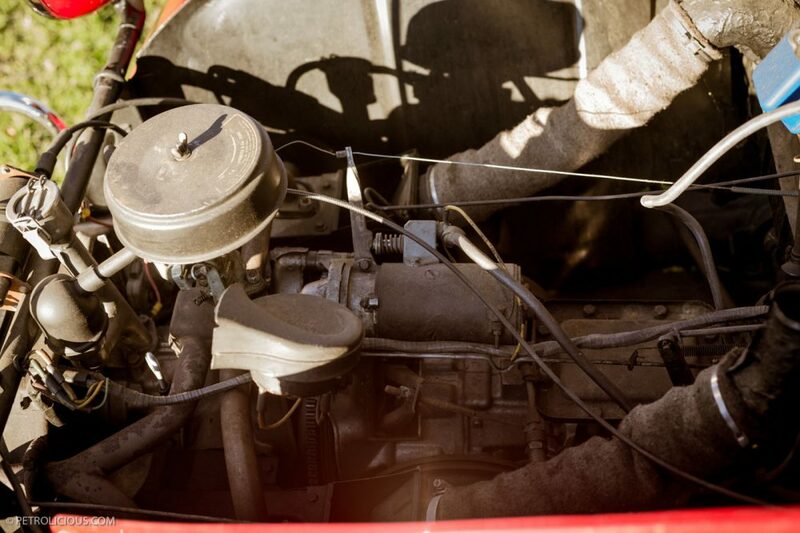 Now I work on the engine myself and my neighbor, from whom we bought the car, helps. I’d never worked on car engines before, but this car is a really simple one to work on. Since I spend a lot of time in France, I was able to get some parts there. I brought car parts home in my luggage! Being fluent in French really helps, because I can read all the French manuals. 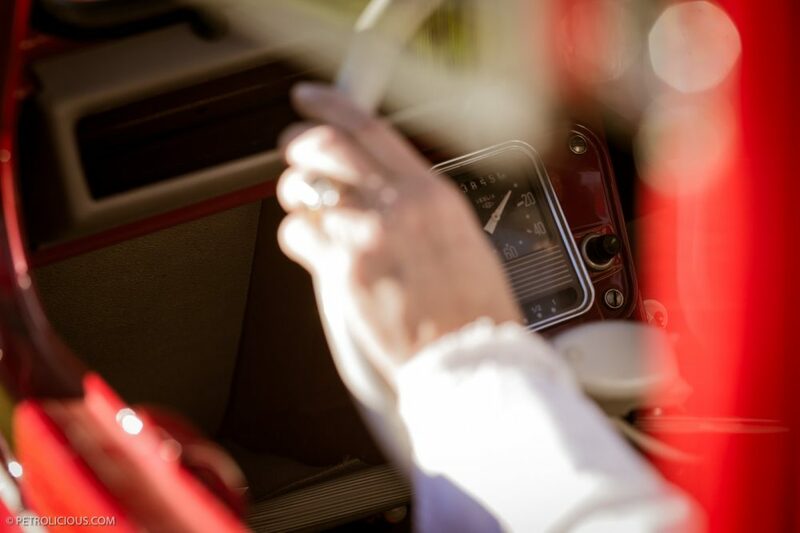 It took us a couple of years to finish restoring the car, we took our time and did it slowly. 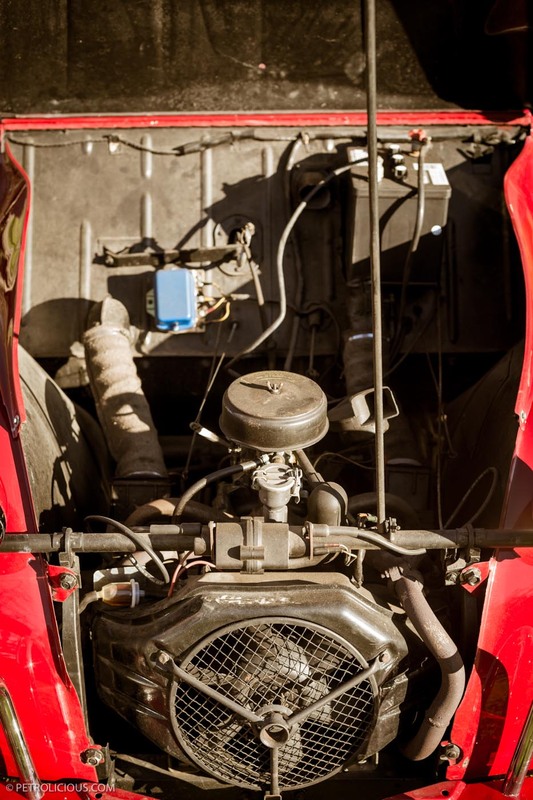 About 85% of the parts on the car are original and manufactured from the time the car was built. We tried our best to get all the original parts that we could. Q. How did you become interested in cars? A: I’ve always been a car appreciator. The first car I learned to drive was my mom’s ’65 Mustang. 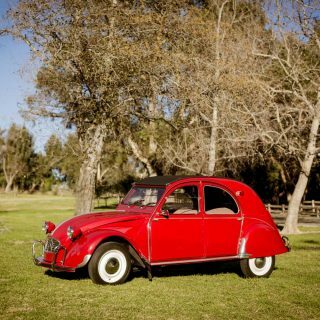 When I had to buy my own car, I got a ’67 Volkswagen Bug. I owned three Beetles in a row! Each one had to be a ’67, because I loved the style of that year. The reason I had to eventually stop driving my Beetle was because when I was pregnant, I couldn’t fit into it anymore! We traded my Beetle for a ’64 American Rambler that my husband restored inside and out. 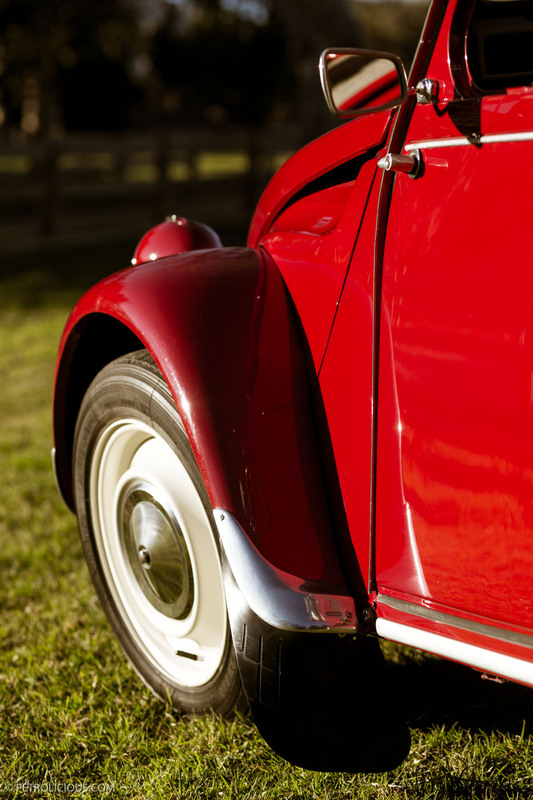 My parents loved classic cars as I was growing up—they have always had a classic car in their collection. Some of the cars my parents drove were a ’49 Ford pickup, then a ’55 Chevy Bel Air, and a ’59 Mercedes 190SL convertible. I’ve just kind of continued that tradition. Luckily my husband likes classic cars too—we have our fun cars and the cars we drive every day. He is a little big for the 2CV, so it’s not too comfortable for him to drive, but my daughters learned to drive stick on that car. If a person can drive the 2CV, they can drive any car. Q: Does the car have any limitations? A: It only has a 18-horse power engine, so I’m limited as to where I can drive. I can’t take her on the freeways or up in the canyons. I mainly drive her around to run errands and stuff like that, and I’ve recently started taking her to car shows. 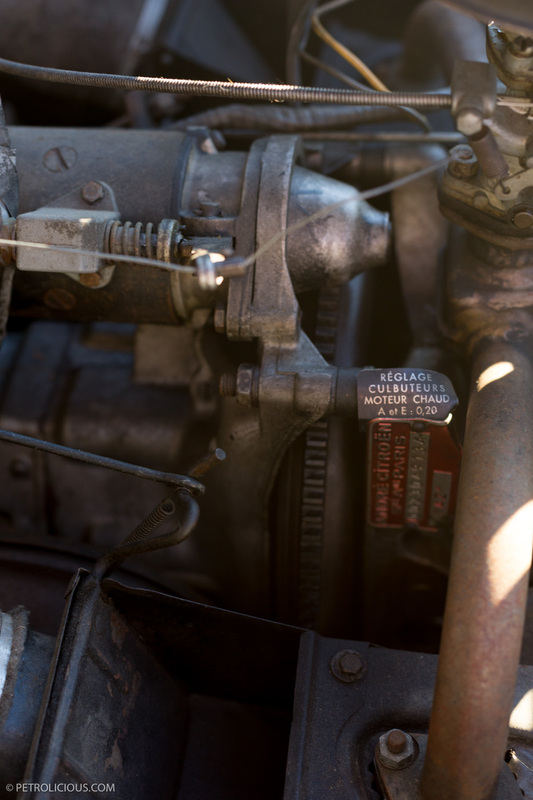 My husband and I thought about replacing the engine with a bigger horsepower engine, but since the engine is the original engine for this particular body of the car, and all of the engine parts have their original numbers and tags, we decided not to for the value of the car and car’s sake. A: My favorite street is a couple blocks from us, it’s called White Oak. About a half a mile of it has a very gentle slope, and is lined with big pine trees called Deodar. The street is historically designated by the city of Los Angeles, and the area used to be the main entrance for a huge agricultural area. They have since urbanized the area, but the street is still so beautiful, especially at 4 or 5 o’clock when the sun is just right. And my little car can get up the tiny hills on the street! I like driving the car around town too. People are always stopping and talking to me about the car. The car is an ice breaker, because it’s so different and has all kinds of neat stuff. Driving this car makes you feel more playful, and it is a great pleasure to drive. 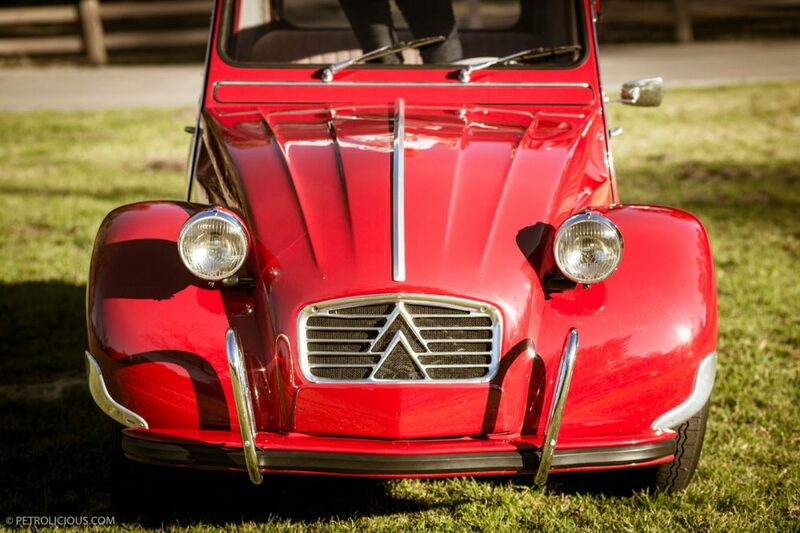 Q: What are some cool or unique features on your 2CV? I love how the gear shifters are very different, because you have to pull in and out. I love the roll top. It’s convertible, but you just roll the top back. I love the huge steering wheel and the front windows, because they’re unusual. They don’t roll down, but they’re separated and you have to lift the bottom part down to open the window. The top doesn’t open at all, and I think that’s really cool. The chrome along the window makes it look very sharp. The air suspension is unique, because you have to equally distribute the weight of the passengers. Driving by myself is OK, but I have my spare tire in the trunk that’s on the right passenger side, so maybe that balances me out, but when you turn a corner in the car, it really turns and kind of tilts to the side. I like everything about the car. It’s such a unique little thing. Q. Does your car have a nickname? A: Yes, I call her my Little Sewing Machine. because of her low horse power. When we first got the car and before the engine was cleaned out, it was scary driving her, because she had no power. She goes up White Oak Avenue just fine now, but when I first drove her up White Oak Avenue, I had to pull over to let people pass, because I could only go five miles per hour. I was a nervous wreck! A: I don’t foresee us selling it. Someone offered us $30,000 cash for the car last year, and although we could’ve used the money, we said no, because we’d put too much heart and soul into the car, and we’ll never get that back out of it. 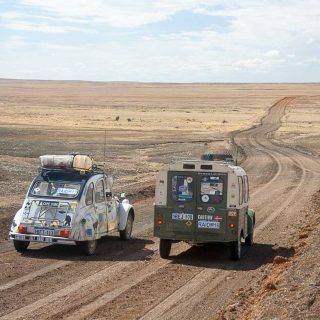 Perhaps only if we were in a very dire financial situation, would we ever contemplate selling the 2CV. Q: Do you know many people who own 2CVs? A: Actually, within about a mile radius of where I live, I know of four, including my own. 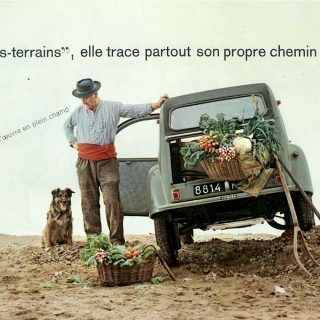 The person on my street who imports Citroëns has one (a 1959 with 31 horsepower—he can drive it anywhere! So jealous.) Someone in the neighborhood has a yellow one, and one of my neighbors told me that there’s a purple one, he’s seen driving around pretty frequently. The only person I know personally is my neighbor, but I still need to catch up with the other two! Journal Best Euro Compact Sport for a Tall Man? Journal What Car Did You Hate As A Kid But Now Appreciate? It doesnt have air suspension, it has coil springs. The car’s front looks a bit low, though- was it lowered on purpose, and, if so, how do you do that without pulling the back down by the same amount? 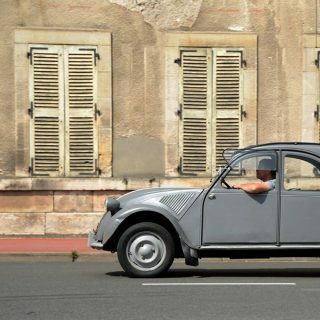 My first car was a 1980 2CV 6 (600cc), pistachio color. 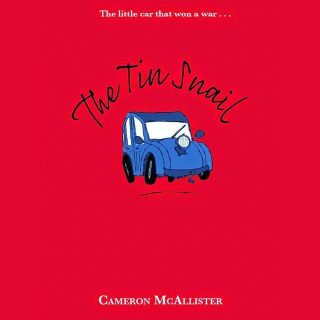 One time I had a bad alternator and the car wouldn’t crank, but luckily with the 2CV’s tire iron is used to wind the engine……..so I used the winder until the alternator was fixed. People had a blast everytime I started the car winding it from the front hood side of the car. I always miss it!! Whenever you see a 2CV, you’re sure to find an interesting owner alongside. 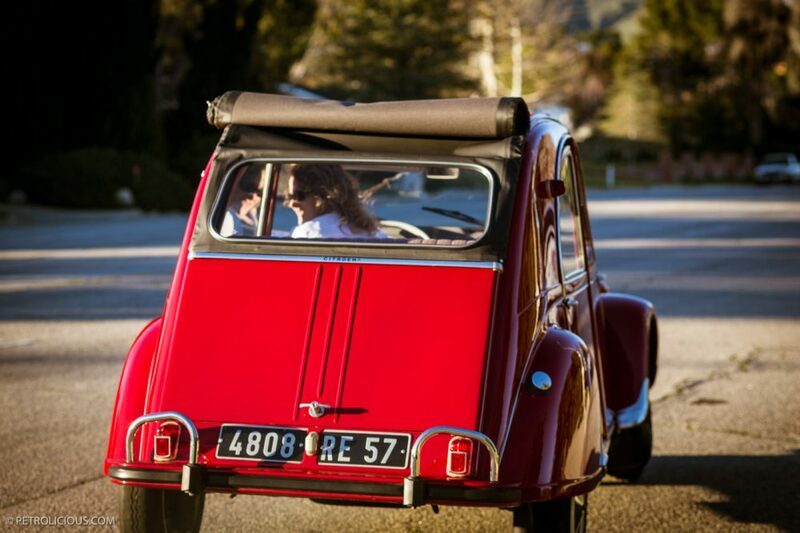 I don’t think I’d feel comfortable driving one myself, but I think the world is a better place because of the 2CV.